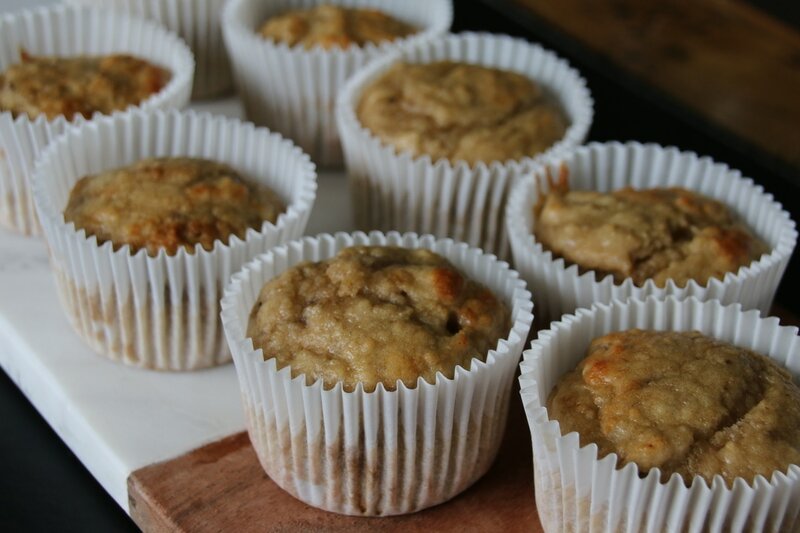 Yummy moist banana muffins made without added sugar and low carb. Delicious served warm with a dab of butter (or your favourite dairy free alternative). *The baking powder can be replaced with ¼ teaspoon of cream of tartar and ⅛ teaspoon of bicarbonate of soda. Preheat the oven to 170°C Fan Forced. Line a standard 12-hole muffin tin with paper muffin cases. Mix the almond meal, plain flour, baking powder and bicarbonate of soda together in a mixing bowl. Combine well. Add 2 ripe bananas to the food processor and process until well mashed. (Thermomix 5 seconds on speed 5, then scrape down the sides of the bowl). Add the macadamia oil, coconut cream and liquid stevia to the food processor, and process until blended. (Thermomix 5 seconds on speed 5). Combine the banana mix into the dry ingredients. 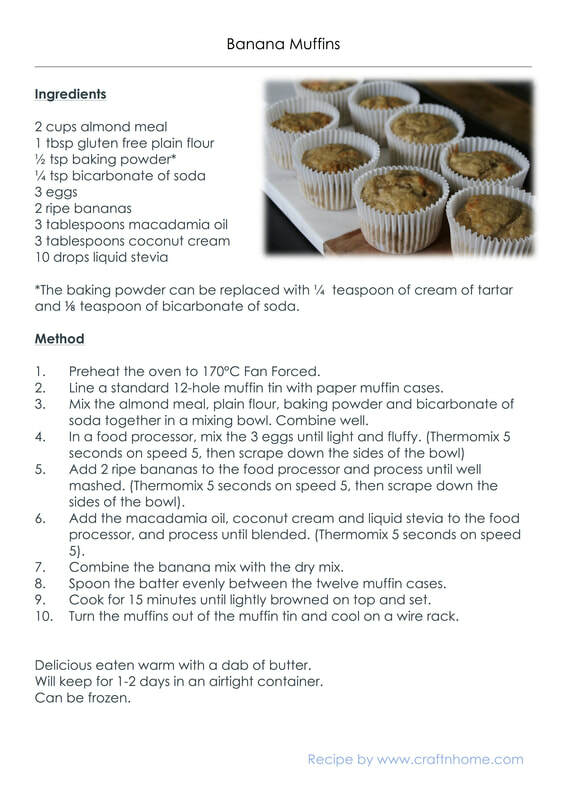 Spoon the batter evenly between the twelve muffin cases. Cook for 15 minutes until lightly browned on top and set. 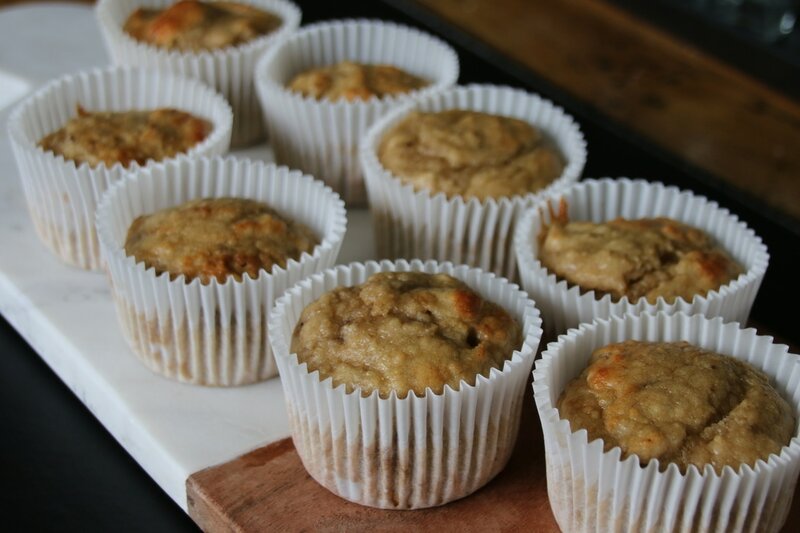 Turn the muffins out of the muffin tin and cool on a wire rack. ​Will keep for 1-2 days in an airtight container.